The Fairmont/Morgantown Housing Authority (FMHA) and Augusta Development Corporation (ADC) thru it's partnership with Miller School Associates is announcing today that they have been awarded approximately 6.2 million dollars of Low Income Housing Tax Credits from the West Virginia Housing Development Fund. The funds will be paired with historic tax credits to adapt and reuse the Miller Junior High School Building at 2 Pennsylvania Avenue in Fairmont into affordable housing for seniors. The project, which has been in development for several years, will include 26 two bedroom and 22 one bedroom units. 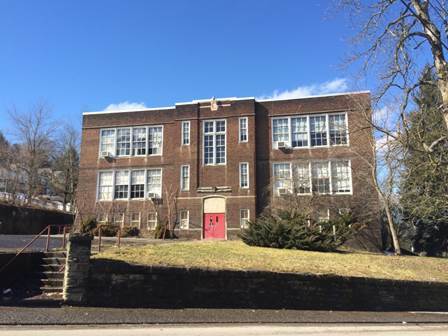 In 2013, with the cooperation of the Marion County Board of Education, the building was listed on the National Register of Historic Places by the Sadd Brothers of Charleston, WV. The building is approximately 72,000 square feet and includes a gymnasium and an auditorium, both of which will be adapted into apartments in accordance to standards set forth by the National Park Service and the Department of the Interior. Any vendors/contractors interested in knowing more about the development of this project: be it planning; pre-construction and construction may contact Chris Sadd at ctsadd@gmail.com or Steve Sadd at Sadd@Bluegrass.net.